Nowadays, editors tend to separate different subtopics of a long Wiki-pedia article into multiple sub-articles. This separation seeks to improve human readability. However, it also has a deleterious effect on many Wikipedia-based tasks that rely on the article-as-concept assumption, which requires each entity (or concept) to be described solely by one article. This underlying assumption significantly simplifies knowledge representation and extraction, and it is vital to many existing technologies such as automated knowledge base construction, cross-lingual knowledge alignment, semantic search and data lineage of Wikipedia entities. In this paper we provide an approach to match the scattered sub-articles back to their corresponding main-articles, with the intent of facilitating automated Wikipedia curation and processing. 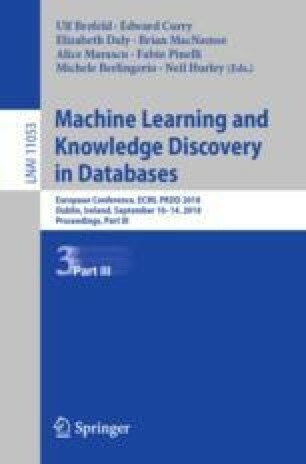 The proposed model adopts a hierarchical learning structure that combines multiple variants of neural document pair encoders with a comprehensive set of explicit features. A large crowdsourced dataset is created to support the evaluation and feature extraction for the task. Based on the large dataset, the proposed model achieves promising results of cross-validation and significantly outperforms previous approaches. Large-scale serving on the entire English Wikipedia also proves the practicability and scalability of the proposed model by effectively extracting a vast collection of newly paired main and sub-articles. Code related to this paper is available at: https://github.com/muhaochen/subarticle. This work is accomplished at Google, Mountain View.